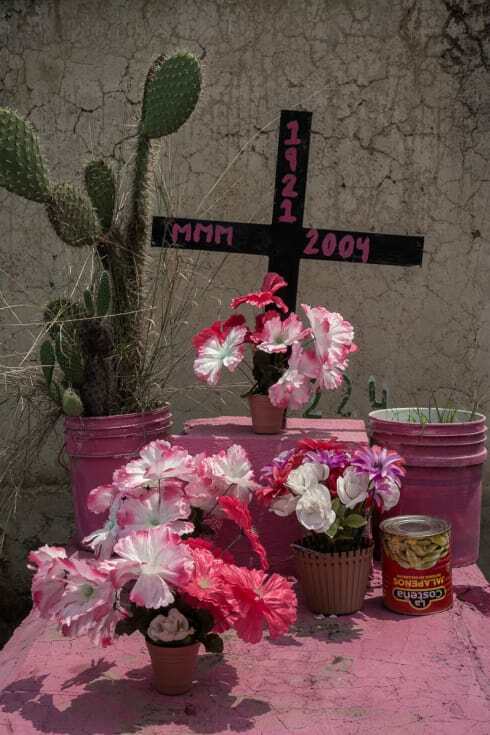 36 photos of Mexican graveyards taken in six states over the last seven years. It’s October 1, one month before El Día de Muertos, so it’s officially OK to start getting into full Day of the Dead mode. 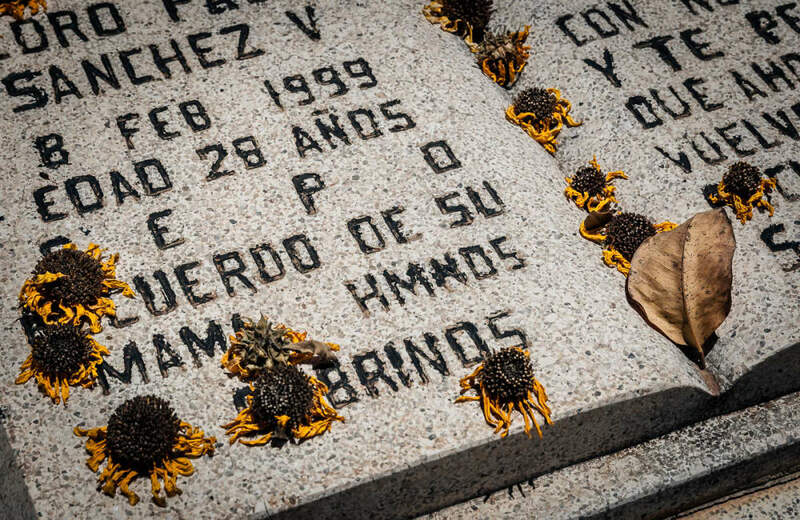 And we’ll do so with these photos from 22 Mexican cemeteries that I’ve shot over the last seven years — from the very first day I was in Mexico after moving here, up until just last month. 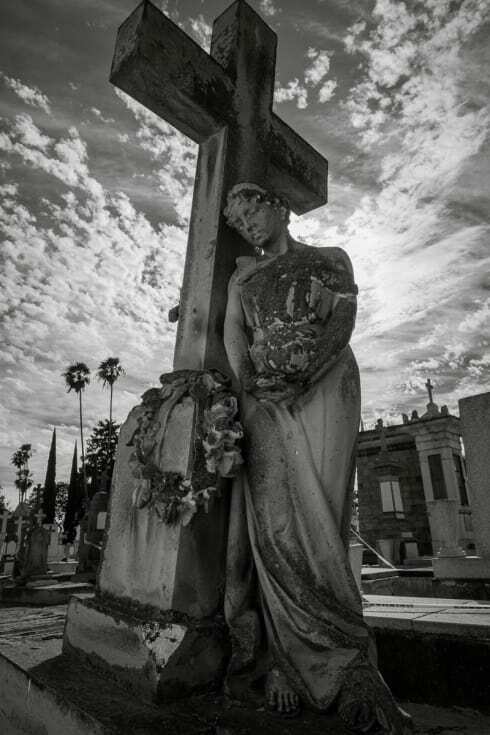 For a number of compelling reasons, I always come back to photographing the cemetery. 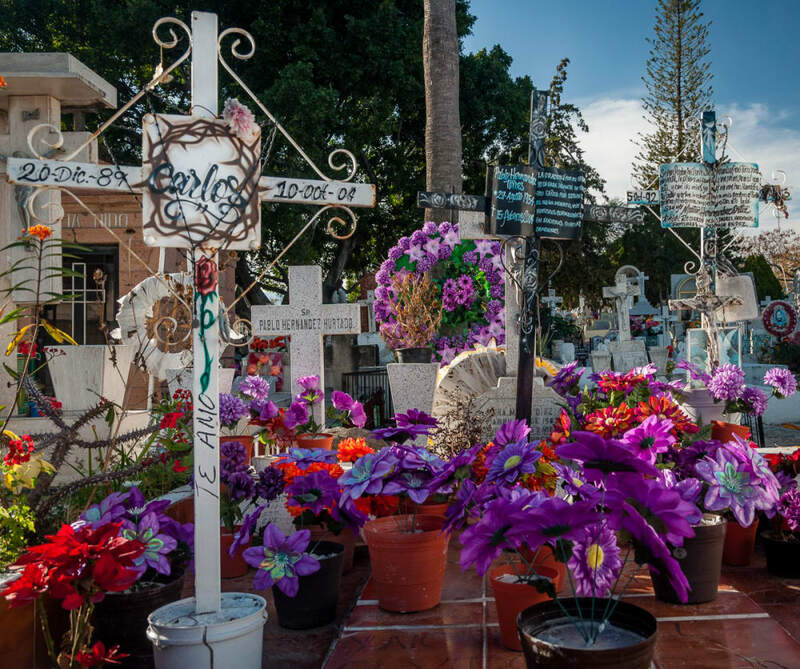 Unlike most cemeteries in the rest of North American, Mexican graveyards are a place that turns out to be more for the living than the dead. 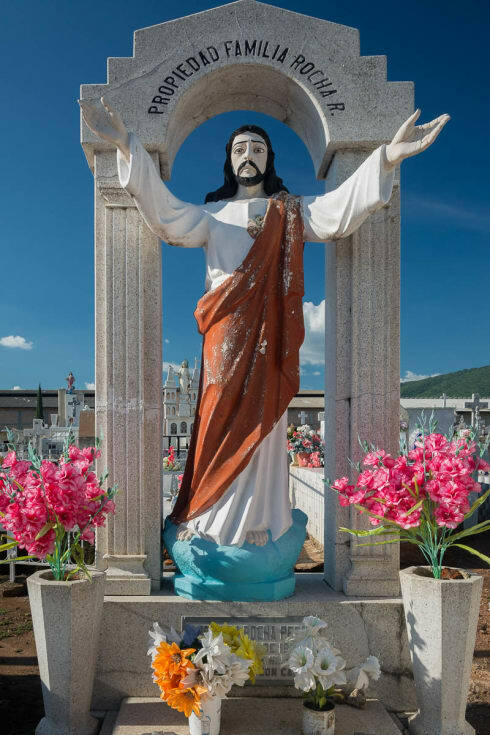 When it’s not filled with mourners burying the grief of the newly departed, the cemetery can be filled with great solace and connection for those who go there to water flowers or add arrangements to their loved ones’ final resting place. “Antonia Robles de Magaña. Died 10th day of November 1992. J. Trinidad Magaña. Died 2nd day of June 1958. Remembered by Lety.” Panteón Municipal, Santa Anita, Jalisco. “Rest in peace Antonia Pesquera. A commemoration from your husband and daughters.” Panteón Municipal, Santa Cruz de la Soledad, Jalisco. Panteón Municipal, Santa Cruz de la Soledad, Jalisco. 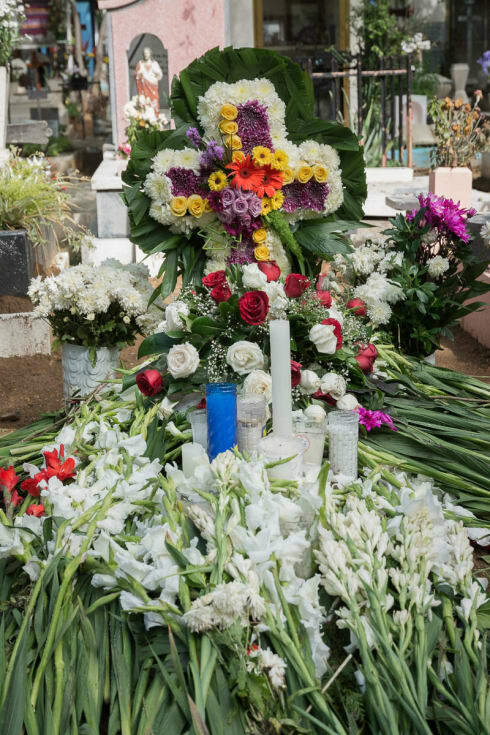 A grave on the Day of the Dead in the Municipal Cemetery in Ajijic, Jalisco. Grave of Rosa Ramos Gómez, Panteón Muncipal, Atotonilquillo, Jalisco. Marigolds on top of a book-shaped headstone in the community cemetery in the Los Mochis area of Sinaloa. 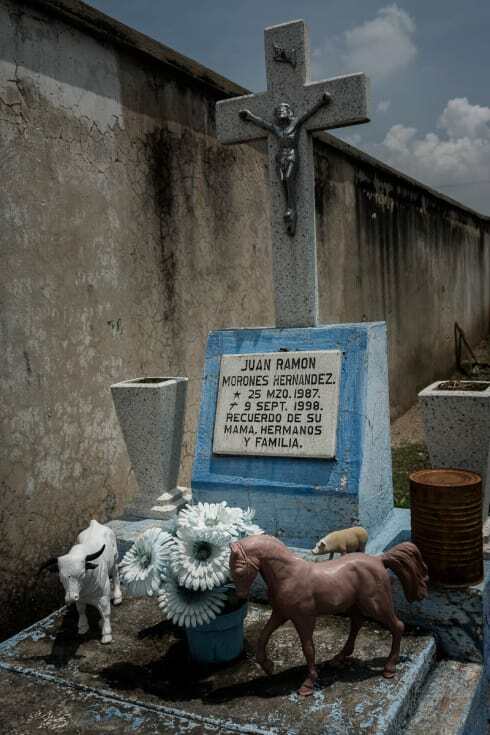 A grave for a child, Juan Ramón Morones Hernández, born 25 March 1987, died 9 September 1998. “Remembered by his mother, siblings and family.” Panteón Municipal, Santa Anita, Jalisco. Abstract shapes in the Panteón Municipal, Santa Cruz de la Soledad, Jalisco. Panteón Municipal in Atotonilquillo, Jalisco. 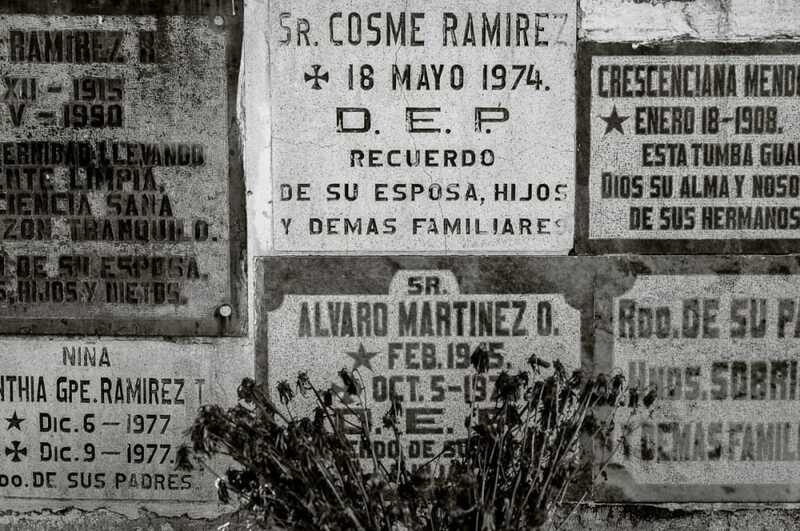 “Remembered by her husband and the Solis family.” Graveyard north of Culiacan area, Sinaloa. Tomb of Roberto de la Mora, 1863-1900. Panteón de Mezquitán, Jalisco. 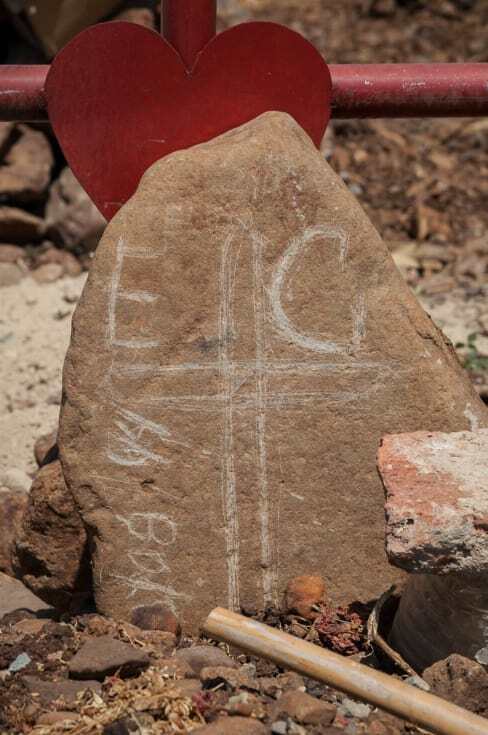 The initials and date of the deceased birth or death are scratched into this rock on a grave in Mezcala, Jalisco. Inside a family mausoleum in Panteón Nuevo, Guadalajara, Jalisco. 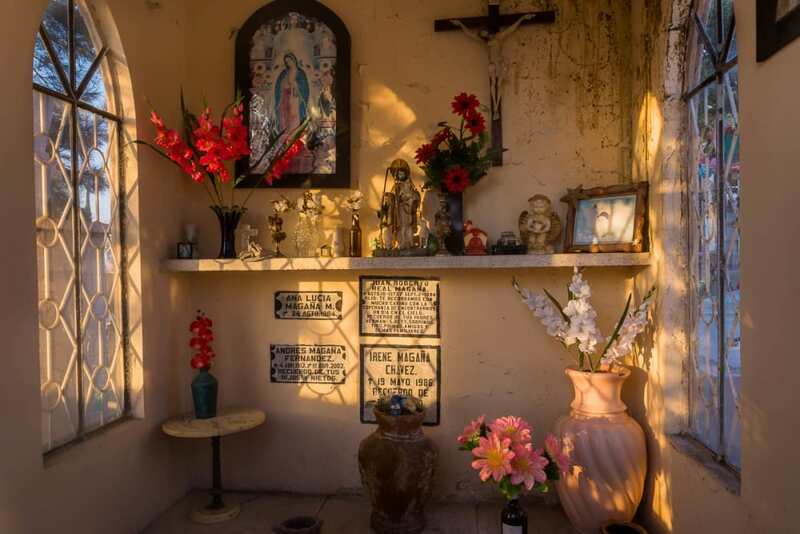 See my series, Inside the Graveyard Mausoleums of Mexico, for more photos inside these mausoleums. Inside a mausoleum in the Panteón Municipal, Pátzcuaro, Michoacán. 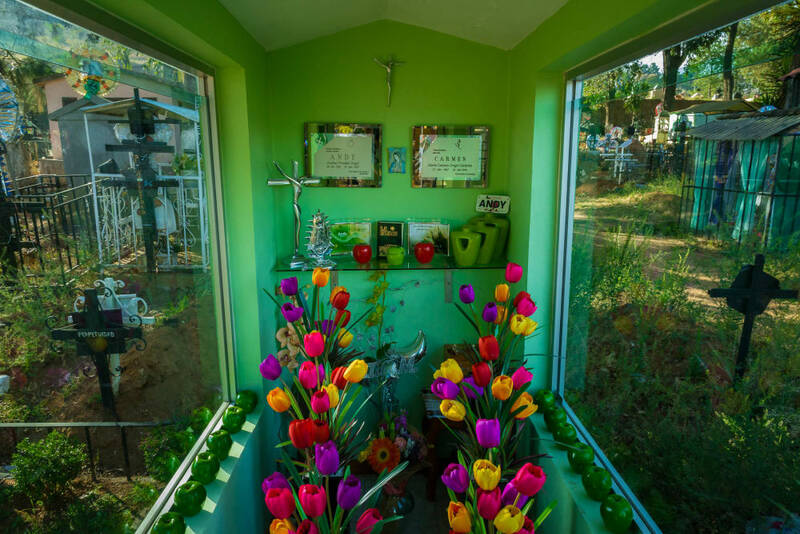 See my series, Inside the Graveyard Mausoleums of Mexico, for more photos inside these mausoleums. 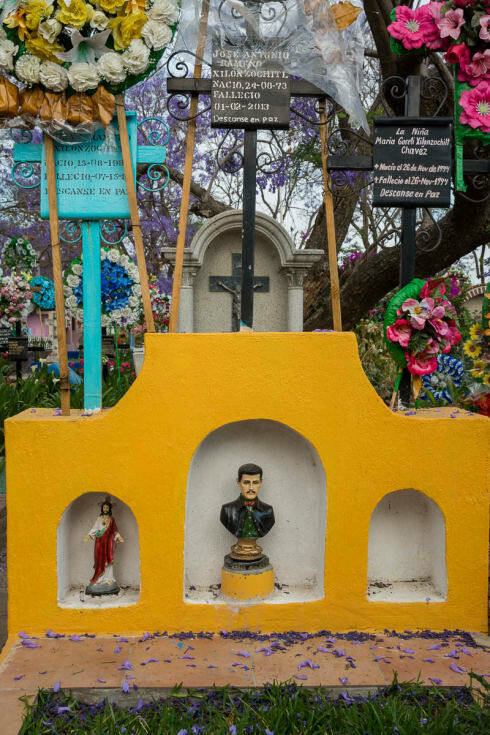 The bust of Jesús Malverde, the patron folk saint of narcotraficantes, looms over a grave in the community cemetery in San Juan Cosalá, Jalisco. “Mr. José Herman Bluhum Penagos. Died the 14 of December of 1987. Remembered by his sons and wife.” Panteón Municipal, San Cristóbal de las Casas, Chiapas. 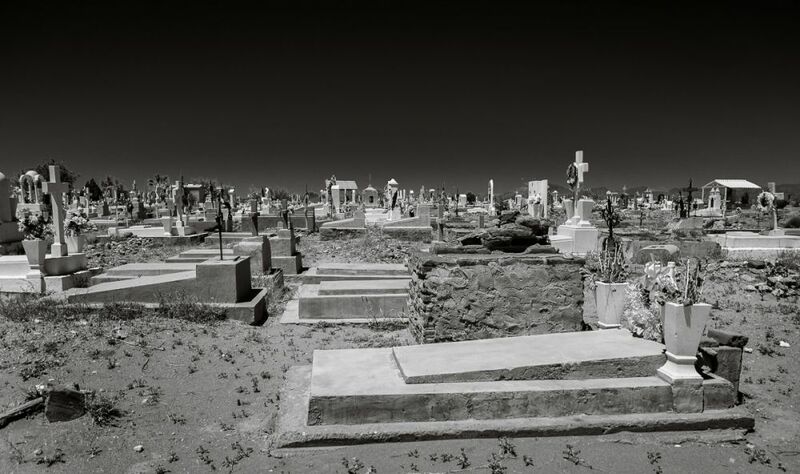 A graveyard in the Sonoran desert, Estación Lleno, Sonora. Mound-type graves in the graveyard in Jocotepec, Jalisco. 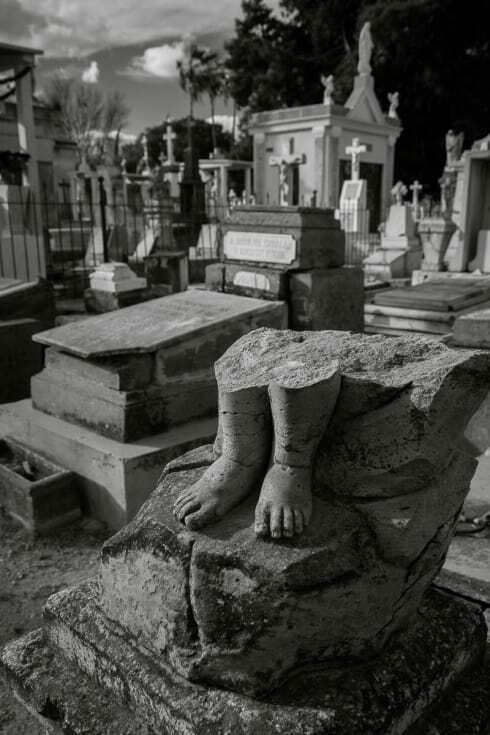 A broken statue on a headstone in the Panteón de Mezquitán in Guadalajara, Jalisco. A fallen headstone in the graveyard in Chapala, Jalisco. 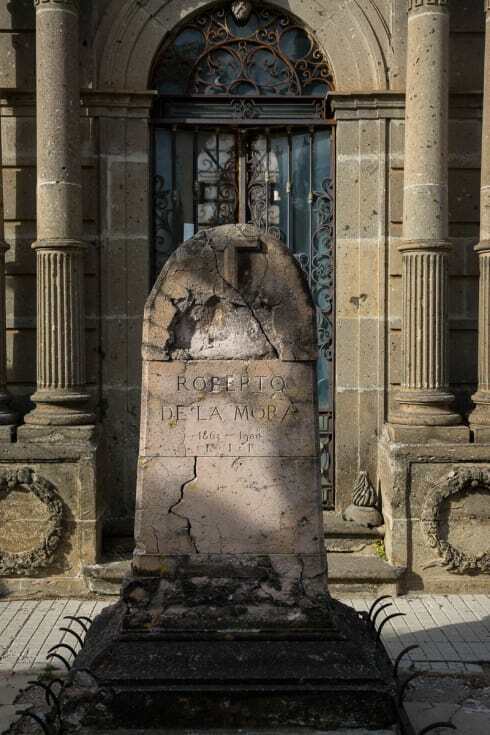 The walls of the inner courtyard at the Panteón de Belén in Guadalajara, Jalisco, was lined with these tombs to accommodate all the dead at the end of the 19th century. Today it is a historical museum which guided tours through its supposedly haunted grounds. 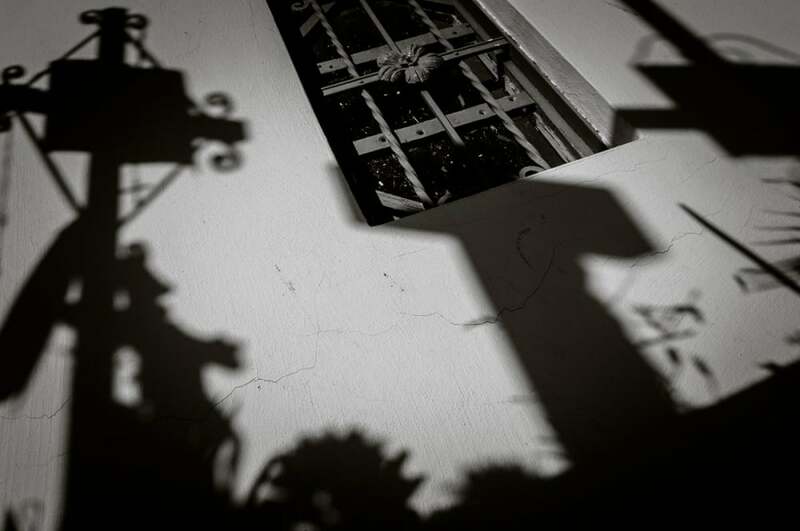 Shadows from headstones fall across the walls of a mausoleum in the municipal cemetery in Chapala, Jalisco. 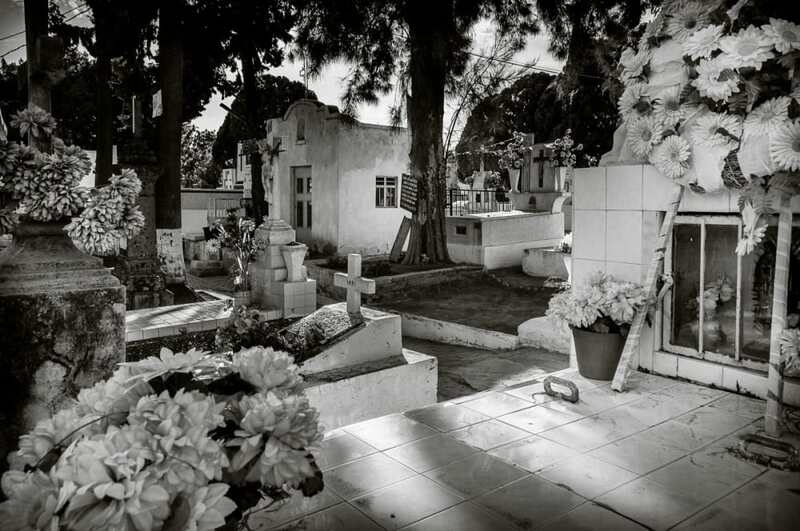 The famous graveyard on the Island of Janítzio in Lake Pátzcuaro, Michoacán. 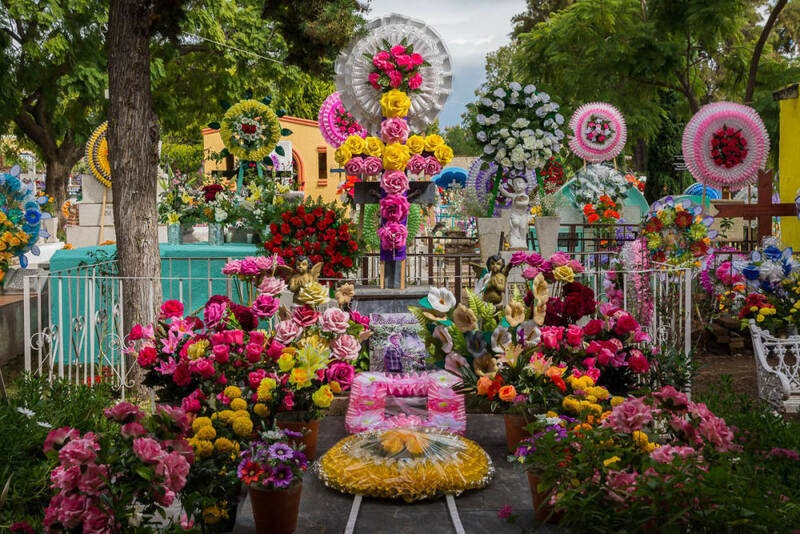 This is Mexico’s most famous and popular cemetery on the Day of the Dead. 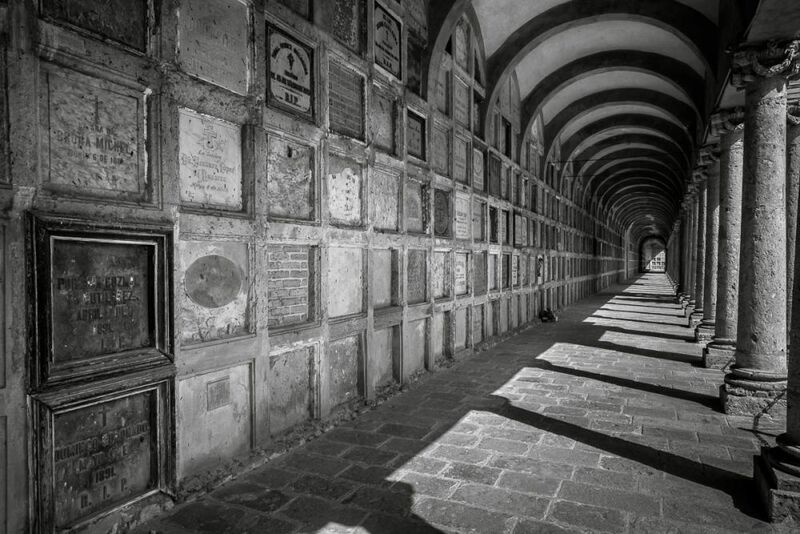 Headstones and the names of the departed in the Chapala graveyard, Jalisco. Grave in the Panteón de Mezquitán in Guadalajara, Jalisco. 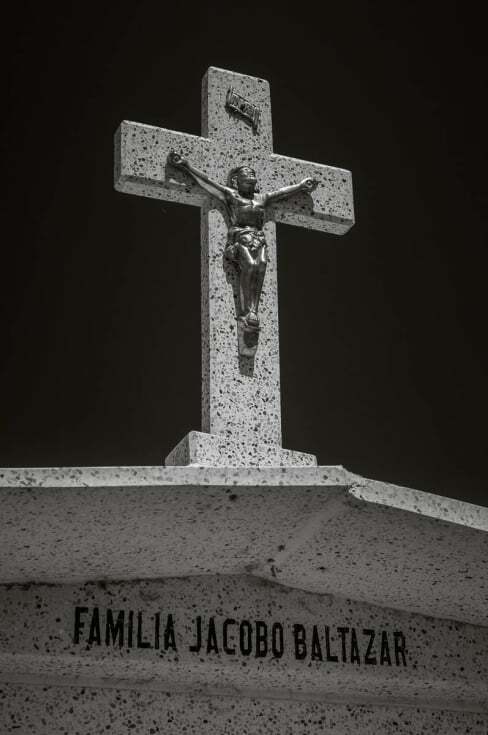 A cross on the tomb for the Jacobo Baltazar family in Mezcala, Jalisco. A converted water heater serves as a headstone in the cemetery in Ixtlahuacán de los Membrillos, Jalisco. Pantéon Municipal on the Day of the Dead in Ajijic, Jalisco. 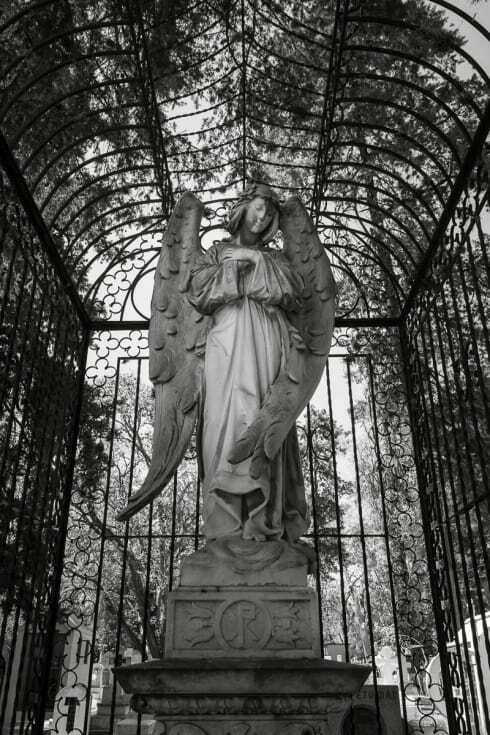 A caged angel in the Panteón Municipal in Morelia, Michoacán. 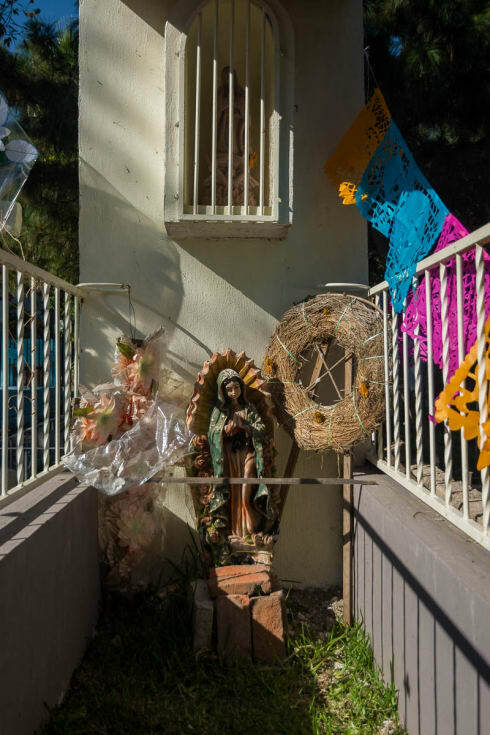 A tomb for a teenager in Chapala, Jalisco, arranged for the Día de los Angelitos, which remembers children during the Days of the Dead. Panteón Municipal de Atotonilquillo, Jalisco. 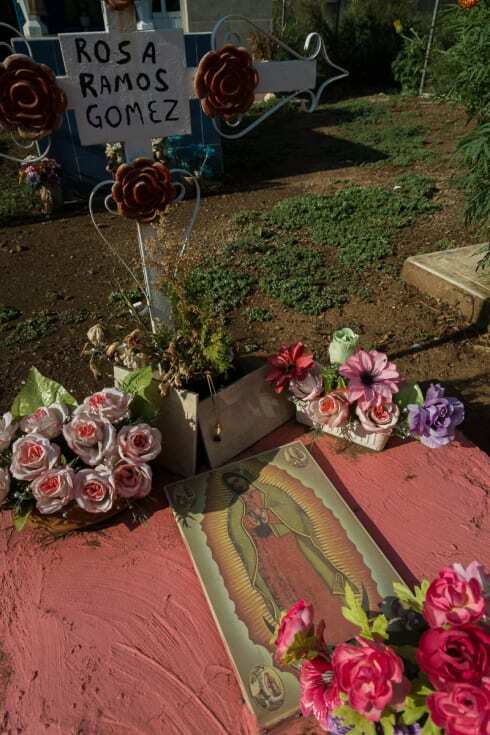 A can of La Costeña-brand jalapeños is among the items on a headstone in the graveyard in Santa Anita, Jalisco. 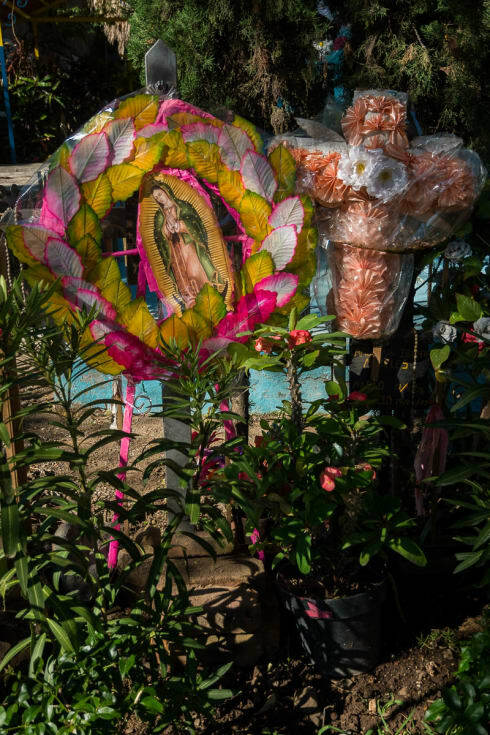 These cans and other brand names are often left in the Mexican cemetery. 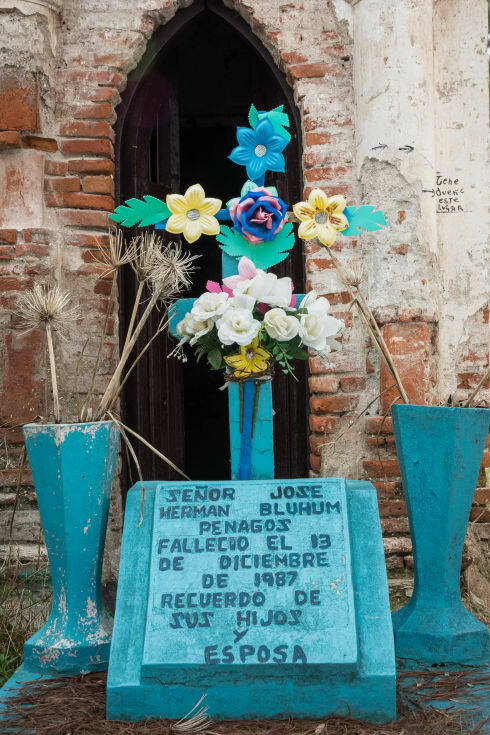 A grave on the Day of the Dead in San Antonio Tlayacapan in Jalisco, Mexico.